The oral tradition is very important to Native American cultures. Jewelry and pottery-making techniques are passed down from generation to generation by word of mouth from master to apprentice. Storytelling is often used as a teaching tool to instill the young generation with traditional cultural values and beliefs. 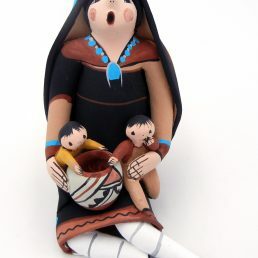 The importance of the oral tradition is evident in Native American storyteller figurines. 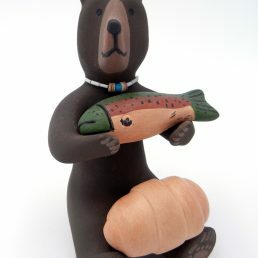 Browse authentic Kachina Dolls here! 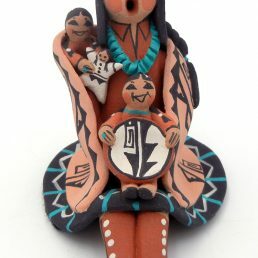 Storyteller dolls are a relatively new form of pottery art. 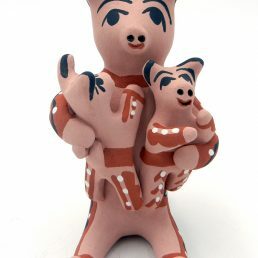 The first storyteller figurine was crafted by Cochiti Pueblo potter Helen Cordero in 1963. The doll represented her grandfather telling her old Native American Indian tales. The first storyteller doll was a male figure, but today, storytellers are also female and sometimes clowns or animals. 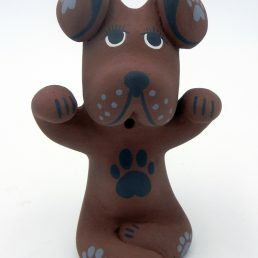 Male figurines are often identified by a hat or bandana. 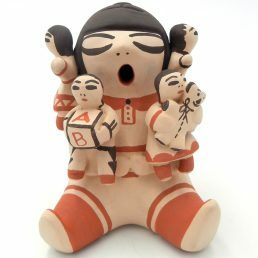 Although some storyteller dolls are individual figures, most Native American Indian storyteller figurines are joined by at least one listener—a child or an animal, sometimes both. 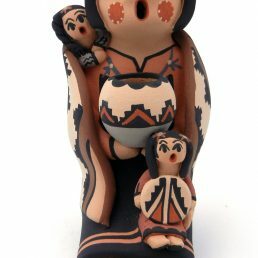 All Native American Indian storyteller dolls (and their listeners) are all shaped or painted with open mouths. 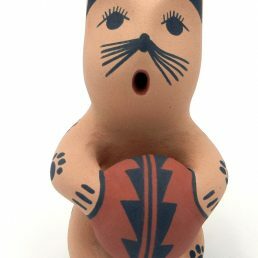 Some storyteller/listener figurines are also holding things important to the Pueblo—pottery, rugs, drums. 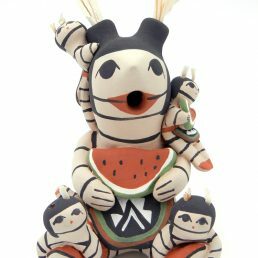 Jemez storytellers frequently feature watermelons. Storyteller figurines speak to people in different ways. Whether you are more moved by traditional storytellers or favor contemporary and whimsical pieces, you can find what you’re look for at Palms Trading Company. Palms Trading Company carries storyteller dolls created by artists from several pueblos and tribes. We buy each piece directly from the artists, so they are guaranteed authentic—hand-coiled and painted using traditional techniques. The storytellers available on our Web site represent a small part of our entire collection. 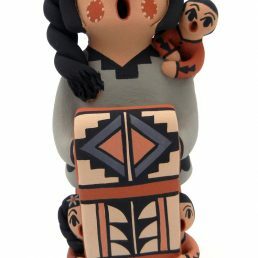 If you would like to see more Native American storyteller dolls, contact us to have our personal shopper show you more of what’s in our store!